The promotion, which was introduced in 2014, was re-launched this year and has been running for the past several weeks. Anyone who topped up $15 or more, signed up for a new service, or paid his or her bill in full and on time, was eligible for entry into the promotion to win two free VIP tickets each to the Movie Night. This means some 400 persons will be watching the movie. 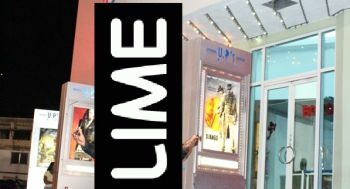 With each ticket worth $20, LIME is essentially giving back $8,000 to its customers across the territory. The audience will be treated to a special showing of “Batman versus Superman” beginning at 7:30 pm. On arrival, the winners will all be greeted by LIME personnel and treated to goodies in the VIP Lounge during the course of the night. Head of Commercial at LIME Ravi Maywahlall said the company remains committed to giving back to its customers, adding that this was one of the main reasons the Movie Night initiative was re-introduced. Maywahlall also promised that much more is in the making for LIME customers throughout the year.